The modern office layout is characterized by cubicles where the productivity of an organization starts to develop. Most office settings nowadays are widely viewed with the use of cubicles eliminating individual rooms which are space-consuming. An employee’s performance and eventually the enhancement of any business depend on how an office look. Though this may not be the only factor for a company’s progress but nevertheless plays an important contributing factor. Office cubicles along with other furniture such as tables, chairs and cabinets are big investments in starting or renovating an office therefore should be given careful attention. Before you start counting how many cubicles you are to purchase, stop for a moment and grab a measuring tape and pen. The buying process might sound so simple but you need to be equipped with detailed information before you decide to crank hundred bucks out from your company’s budget. Consider the measurement of your office space where you intend to place the cubicles. Make sure that the sizes of cubicles must accommodate the available workspace that means not too large nor too small but should absolutely fit. Basically, cubicles come in various sizes and shapes. When deciding to outfit your new office space, it is important to consider the comforts of every employee before buying. Employees differ in sizes so do cubicles. If you are trying to look for cubicles in uniform sizes and height, make sure that everyone will be comfortable working on them. The height should not be too high or too low. Likewise, the work space for each desk is also a factor affecting the comforts of employees. There should be enough space where they could freely as well as ample working area on the desk where they could place their laptops, printers, monitor or other important equipment. As soon as you have determined the number and type of cubicles you will purchase, think about your budget. Ask yourself how much your money can go? A great way to utilize a small budget is buying used cubicles. The beauty behind this purchase is getting quality furniture from renowned brands suitable to your company’s budgetary needs. There are a lot of reliable dealers in the market providing quality pre-owned cubicles in cheaper cost. In buying cubicles, you will not only look after the comforts of your employees and their privacy as well. 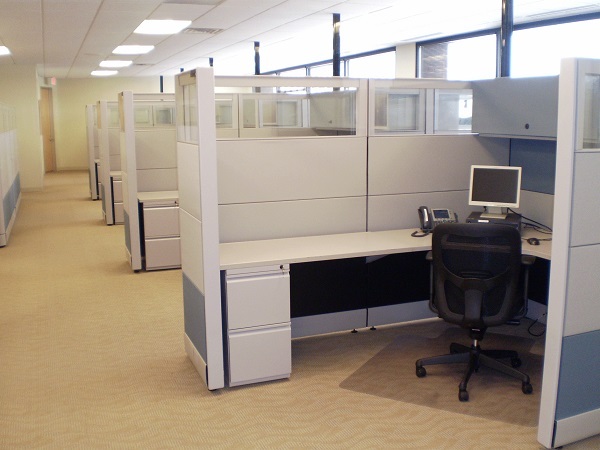 Cubicles are available in various sizes and types where you can choose the best option for your team of workers. Try to evaluate how much privacy your team requires. If your team is more focused on private functions and require a little silence, you must consider cubicles with higher walls. Or if your team is working on a large group where privacy is less required, you can opt for open-space cubicles. Do you offer warranty on used cubicles? How long will be the shipping period and are their additional shipping fees? Will the warranty cover any defect or damage on the product while shipping and how will you replace the damaged items? Do you have available supply for the quantity or number of cubicles I will order? Are there discounts when buying in bulk? Do you have any team to assist in layout and design? As the saying goes, why search far and wide when all you need is right before your eyes? Before you step out any farther, look for local furniture shops that offer quality and affordable office cubicles. This will save you time and effort apart from wasting too much budget for expensive shipping and risk of damage and loss. Once you have identified a reliable dealer, it is noteworthy to take their quotations including terms of agreement and then make a comparison. By doing so, you can create a complete decision where to trust your ultimate purchase. In addition, a well reputable dealer must be able to let you understand everything about the terms and conditions as well as the risk or benefits associated during the buying process. Make sure that every agreement is written in clear sheet and every page is easy to understand. In case of doubts or confusions, feel comfortable to ask your dealer. Only sign the written agreement once you have clearly understood everything. Likewise, if you can negotiate directly to a dealer without the help of a middle man would be more convenient. Direct buying will cost less than having a middle man to do the negotiation for you unless it is badly needed. The market nowadays is crowded with overflowing number of office furniture including office cubicles. The purchasing process might be a pretty tough job for you especially when you are starting to outfit a new workspace. 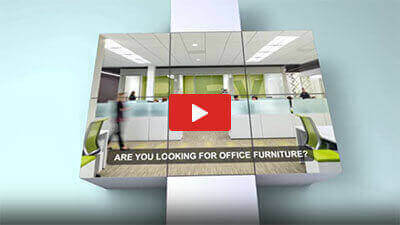 Allow Clear Choice Office Solutions to provide you with unparalleled service and high quality office furniture. For many years in the industry, we are dedicated to meet the satisfaction of our clients when it comes to selecting the best cubicles and other furniture for any office layout.